This week’s sidrah, Chukas, begins with the mitzvah of the Parah Adumah (Red Heifer). The cow slaughtered as the Red Heifer had to be so completely red that even two hairs of another colour disqualified it (Rashi). Understandably, such a cow is an exceptional rarity. When needed, a Parah Adumah could command exorbitant prices. The Gemara tells a fascinating story. (One version of this story is found in Talmud Bavli, Kiddushin 31a. The version I quote here is from Talmud Yerushalmi, Peah Chapter 1.) The Choshen/Breastplate worn by the Kohen Gadol (High Priest – see parshas Tetzaveh, Shemos/Exodus ch. 28) held twelve precious stones, one for each of the twelve tribes of Israel. Once, the Yashphe stone of the tribe of Benyamin fell out and was lost. The sages immediately set out to find a replacement, and were told that just such a stone could be found by a gentile, Damah ben (son of) Nesinah. They approached Damah, and asked if he would be willing to sell them the jewel. Yes, he replied, he would, of course for an agreeable price. Eventually they settled on a price of 100 dinar. How did Hashem (G-d) repay Damah? The Gemara relates that the very same night, a Parah Adumah was born to him. The Jews came and paid him for it the cow’s weight in gold. Nothing happens by chance. Why was this righteous gentile, who was so meticulous in the mitzvah of kibbud av (honouring one’s father), rewarded by being given a Parah Adumah? There are many amazing points about this story. There is the fact that he refused to wake his father, no matter what the circumstances. Also amazing is that it seems he refused to reveal to the sages the true reason for not bringing the stone (they assumed he wanted more money); it seems that out of humility he didn’t want to reveal his true motive. Then there is the remarkable point that he would not take the final bid, which was ten times that of the original, refusing to sell his mitzvah for monetary gain. The mitzvos of the Torah are often divided into two main categories; chukim and mishpatim. Mishpatim are those mitzvos which appeal to our sense of logic and morality: Don’t kill; don’t steal; honour your father and mother. Chukim are mitzvos that have no direct connection with human character and morality – they are simply laws which G-d commands us to obey. Examples of chukim are: Laws of kashrus (kosher foods); tzitzis (fringes); tefilin. Parah Adumah is the ultimate chok (singular of chukim). Its laws defy all logic. The ashes of the Parah Adumah are used to purify one who has become tamei (ritually impure), yet a person who is not ritually impure who comes in contact with its ashes is rendered impure! Honouring one’s father and mother is a mishpat: They gave you life, sustained and raised you, so you must honour them. Yet the lines of division between chukim and mishpatim are not always so clear. Sometimes a mishpat can become a chok. For instance, it is forbidden to kill someone even to release him from the excruciating pain of a terminal illness, and even if he asks for it. Although this may not appeal to our sense of logic, which tells us there is a point where death is in fact preferable to life, still the Torah mandate of not ‘killing’ does not sway. We must accept this out of faith, nonwithstanding our own understanding or lack of it. Damah ben Nesinah took the mitzvah of kibbud av to great extremes. Logically, how terrible is it to wake one’s father momentarily in order to make a very profitable sale? He could easily have reasoned that his father would have preferred to have been woken in such a case, rather than to have his son lose the sale. And would it really have been wrong to take the higher price? Logically; no, there is nothing wrong with taking advantage of circumstances which had enabled him to command a higher price for the rare stone he possessed. Yet Damah (who could well serve as an example to many of us) did not stop performing the mishpat of kibbud av just because it had ceased to be logical. He elevated the mitzvah to a higher level, to that of chok. Even when it made no sense, he took a leap of faith and unswervingly refused to sway from honouring his father in even the slightest way. Many would have criticised Damah. The words extremist and fanatic come to mind. It appears though, that this was not how G-d viewed the situation. Hashem ordained that the very same night a Parah Adumah be born to Damah. Parah Adumah, the ultimate chok, the mitzvah regarding which, as Rashi says, the nations of the world mock Israel due to its illogical laws. Damah had elevated kibud av to becoming a chok. He defied all logic and reason. So he received his reward from a mitzvah whose very existence defies logic and reason. Often, keeping the Torah’s 613 mitzvos feels logical and moral. At times, however, it can become confusing and irrational. 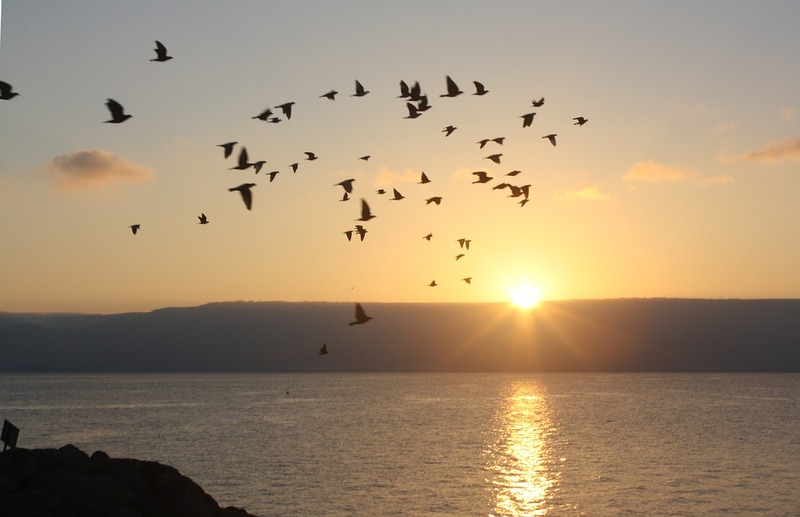 From Damah ben Nesinah we learn to take a leap of faith, and do what is right whether we understand it or not, because it is the will of Hashem.